Israeli forces, on Wednesday, ransacked two printing shops and seized computers during raids into the northern occupied West Bank districts of Salfit and Qalqilia, said municipal and security sources. 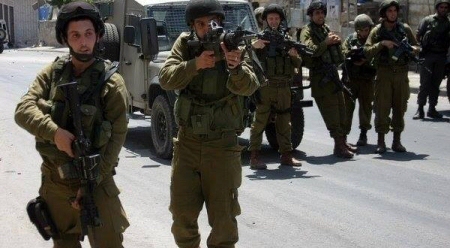 Israeli forces stormed the ‘Alam al-Ibad printing shop during a raid of Al-Zawiya village, west of Salfit. Head of Zawiya local council, Naim Shqair, told WAFA correspondence that soldiers raided the printing shop and seized a computer, after tampering with its contents. In a different incident, forces stormed the Asayel Yaffa printing shop during an overnight raid into Qalqilia city, seizing six computers. The printing shop reportedly belong to Mr. Saber Daoud. Search IMEMC: “printing”, for related articles.